Learn 2 Fuse Glass: Jewelry - Learn 2 Fuse Glass... & More! 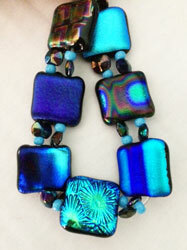 Basic & introductory classes teach how to create glass jewelry using a variety of fusible glass. Learn about fusible glass, how to cut it, then design & create applying your own creativity, and lastly, learn finishing techniques. Please Read Individual Class Descriptions below for More Info. Advanced Registration/Payment is Required for ALL Classes so that Materials can be ordered and Class Prep can be Readied for each Attending Student. Please see Questions for Policy Info.